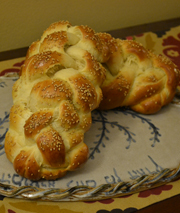 Happy Purim from The Challah Blog! 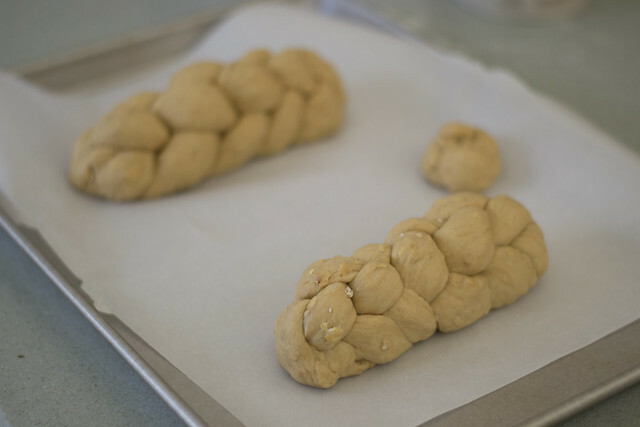 On the Shabbat before Purim, we always get into the spirit a little early and make fun challot. Here are some of our ideas from past years. 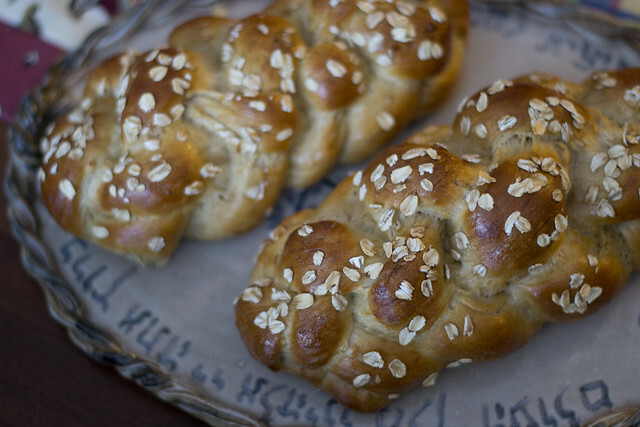 Hamantaschen Challot are an easy and fun way to surprise your guests. 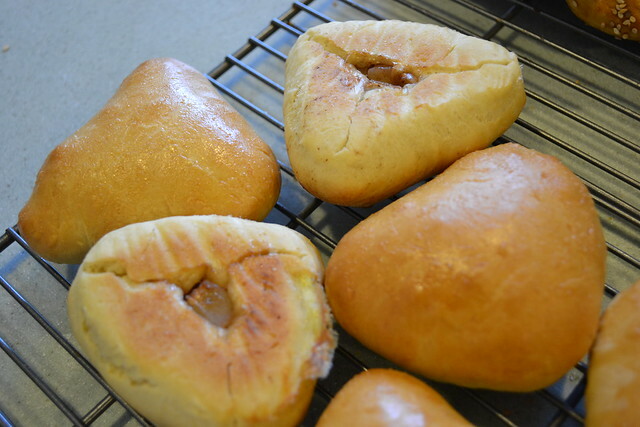 Baked upside down, they look like slightly triangular-shaped rolls. But flipped over -- a great surprise! 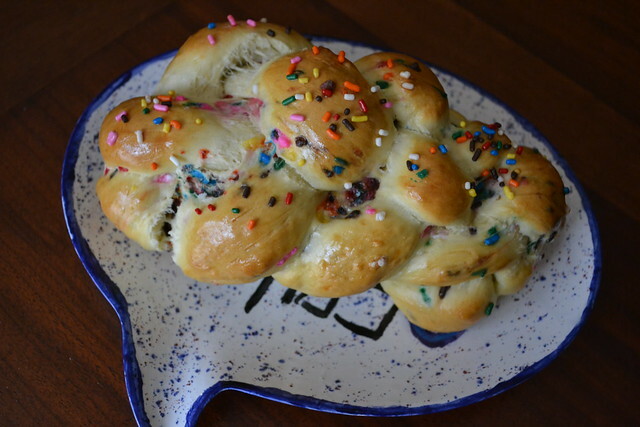 Okay, so we sometimes make Sprinkle Challah even when it's not Purim, because it's a lot of fun, and kids love it. By now, you've probably realized how much I love mix-in challot. 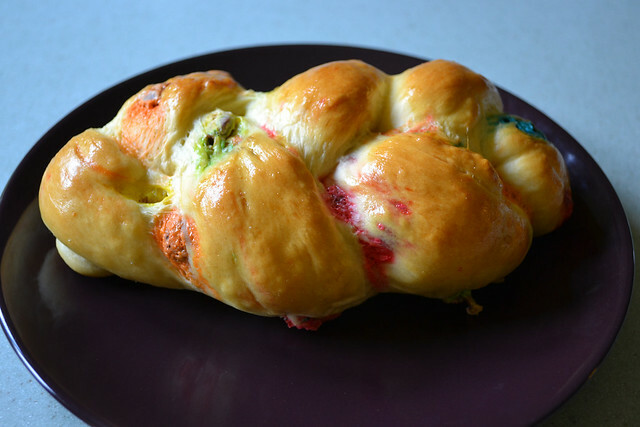 M&M Challah is just fun, colorful, and easy! Shabbat Shalom and Purim Same'ah from our bayit to yours! What's YOUR Purim costume this year? We're having a Star Wars theme at our synagogue. 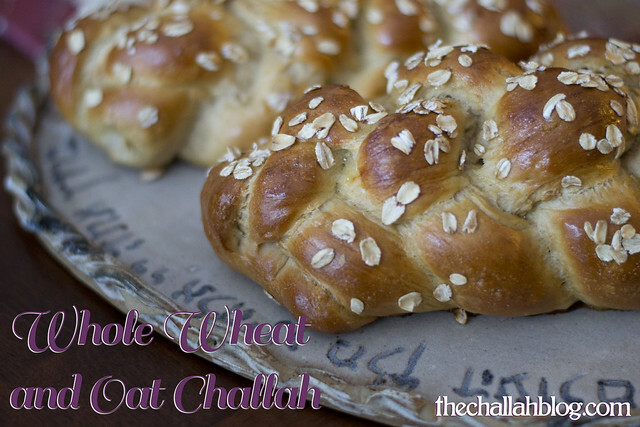 I'm constantly searching for the perfect whole wheat challah. I've tried upping the egg yolk quantity, mixing in warm milk, and tried and true recipes of the greats. I've experimented with spelt, kamut, and adding in flax seeds and millet. I keep trying, and I'm never full satisfied with the result. Here's another experiment, and this one... we were REALLY happy with. 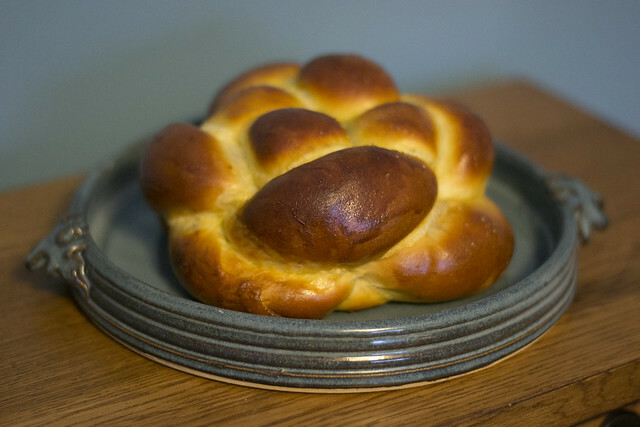 Approach this challah as you would normally bake an egg bread. Proof the yeast in warm but not hot water with the honey. After 10 minutes have passed (or the yeast is foamy and smells strongly), add 2 eggs and the oil. 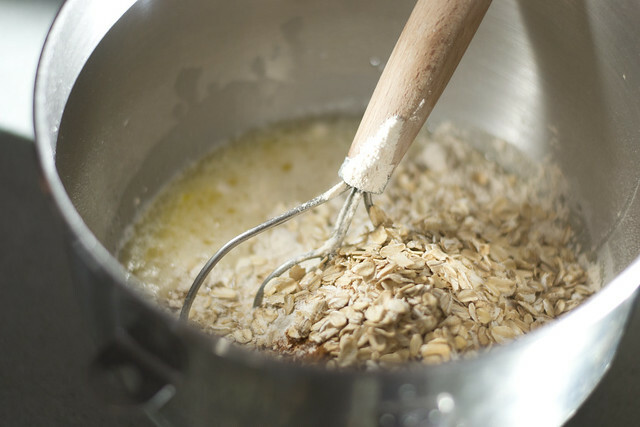 Add the flours, cinnamon, salt, and oats. Mix in a stand-mixer or by hand until a ball forms. 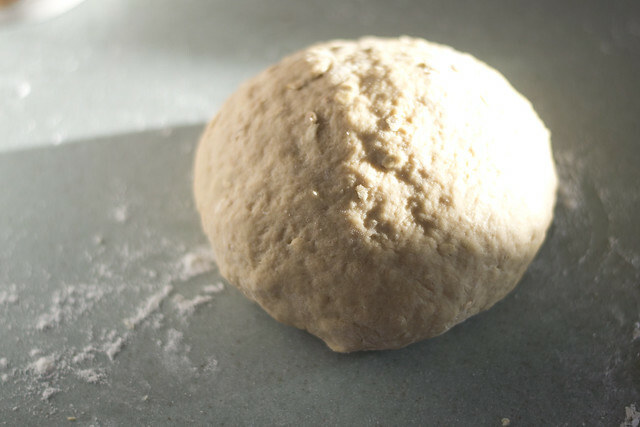 Let rest for about an hour and a half until dough has doubled in size. Braid as normal. Let rest an additional 30 minutes. Preheat oven to 350. 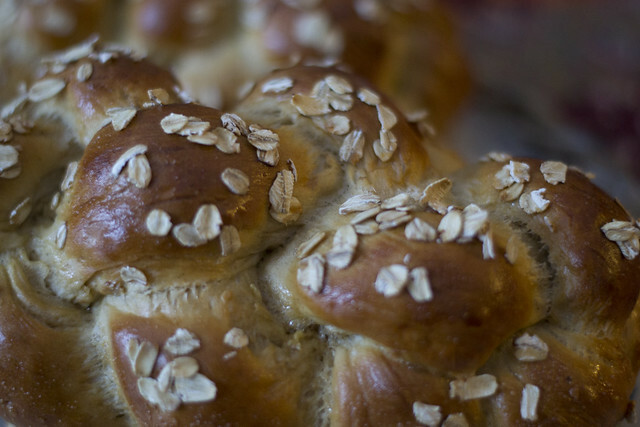 Use final egg to egg wash the challah and top with honey and a few oats. Bake for 20-30 minutes, turning halfway until internal temperature reaches 180 degrees. 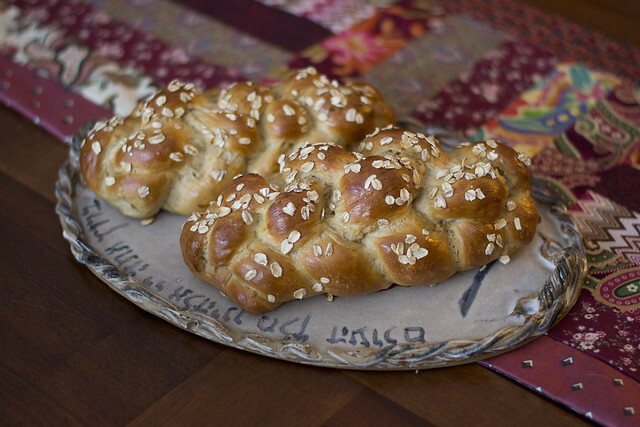 This challah has inspired me to try more oat recipes or perhaps even oat flour. The result here is quite soft, aromatic, and hearty. 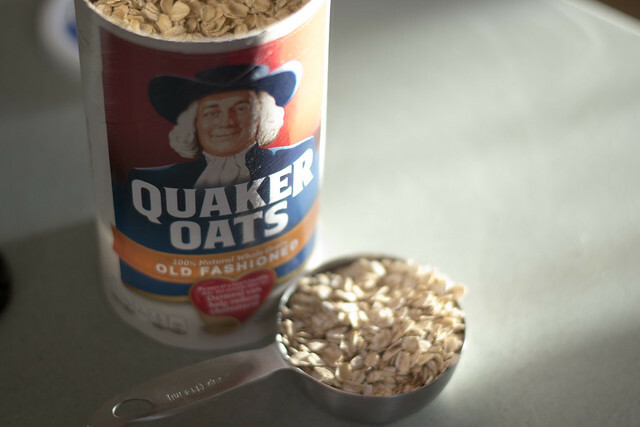 Have YOU worked with oats in bread before? This is just a review. I didn't make this challah. In fact, for the first time in my adult life, I followed the recipe faithfully. 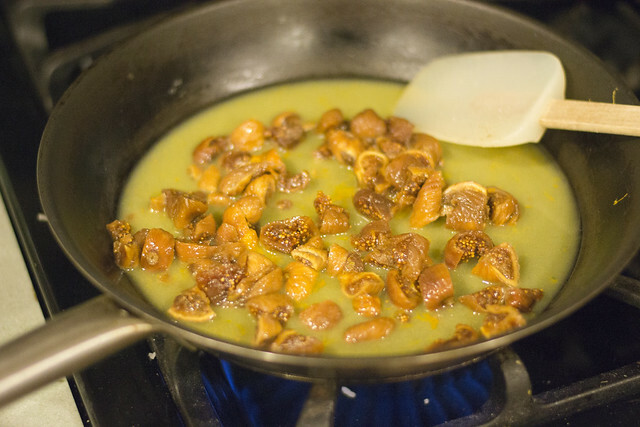 Usually when a recipe says "use one clove of garlic," I'll use three. 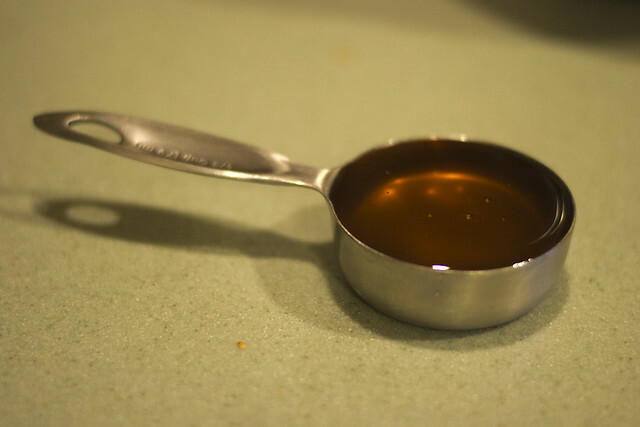 Or "use 1/4 tsp of cinnamon," I'll use 3/4. 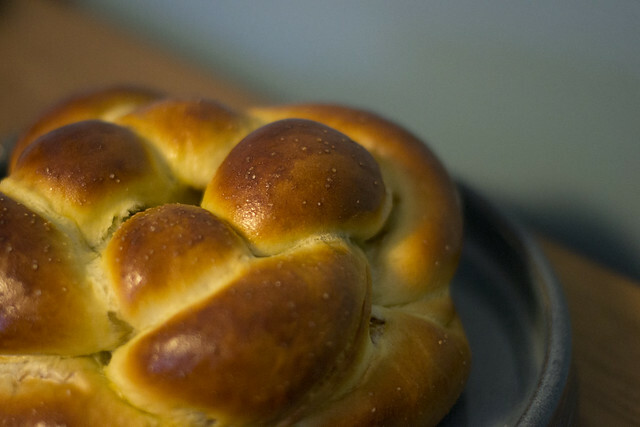 But I have wanted to try this recipe for a while, and it seemed like the perfect option for last week's Shabbat which coincided with Tu Bishvat. 1) Unusual among fruit trees, the fig can produce fruit over a long season, from Shavuot to Sukkot (late May to early October). 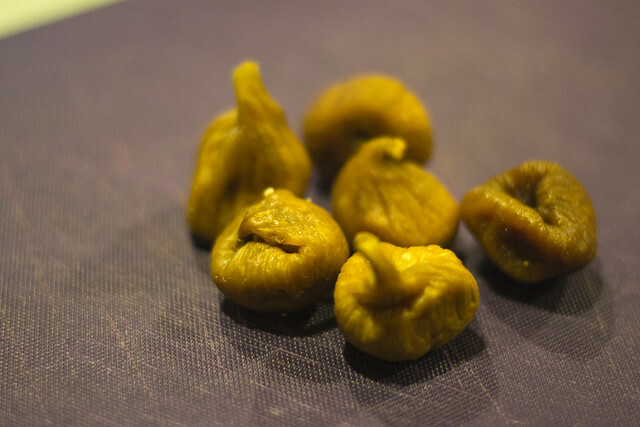 So, why NOT figs for Tu Bishvat? Smitten Kitchen is one of my favorite food blogs. 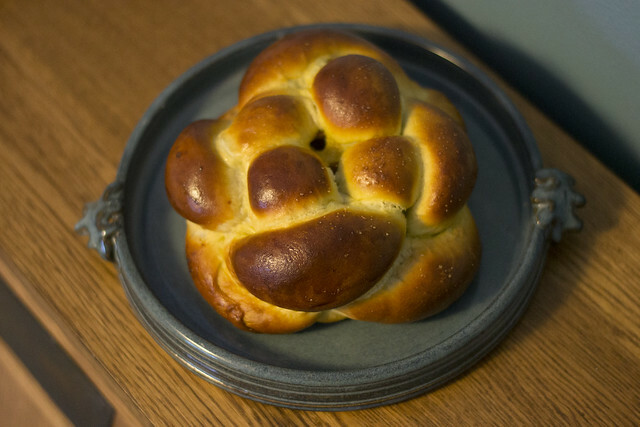 So when I saw the Fig, Olive Oil, and Sea Salt Challah this past fall, I immediately knew that I had to try it. The recipe is pretty straightforward. 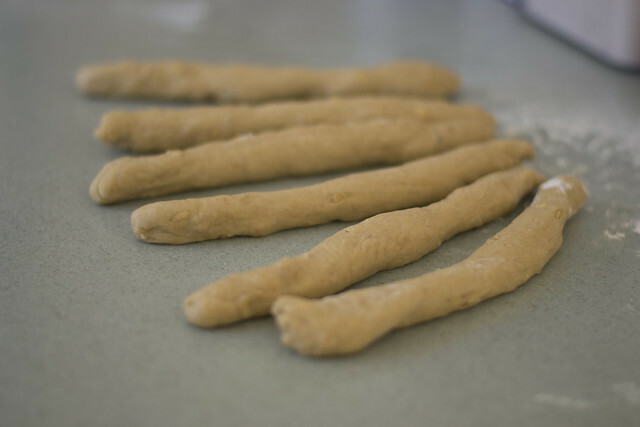 The dough has a much higher quantity of honey that what I normally put in my own challah, however the sweetness balances the aromatic olive oil and the sea salt. To be honest, I nearly messed up the fig puree by adding too much orange juice. I ended up pouring out all the liquids and starting over. Oh well. I ended up slightly short on fig puree for my second challah (which I made a standard long braid in stead of a round... but even though it was Rosh Hashanah, we did enjoy the round for Shabbat). The verdict: We liked it, but we didn't love it. It didn't get finished before it became stale. That said, I would definitely make this for a crowd. 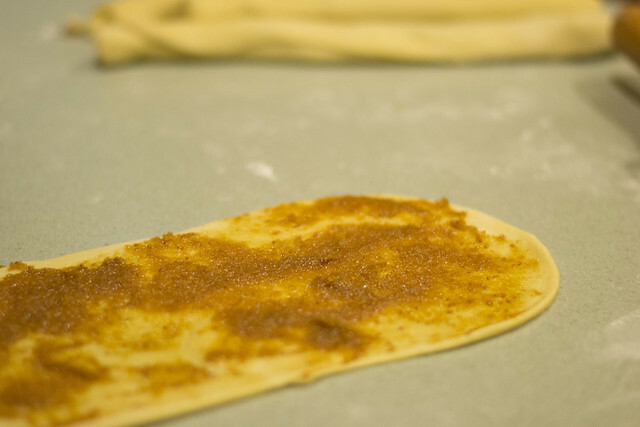 The dough is very lightly salty, but aromatic from the olive oil. The orange juice really came through in my fig puree. And the challah simply baked up in such a lovely way.